Beloveds, we, The Council of 8, wish to share that which might assist with the stabilization of your vibrational selves. Each spirit who incarnates on Planet Earth, has what one might call seven bodies. Each body has its own requirements and needs. There is your physical self, which all are aware of and mistakenly identify with as self. 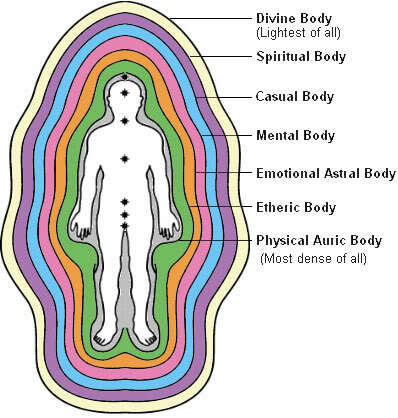 Connected with the physical self is the emotional body, the mental body, the astral body, the spiritual body, the soul body, and that body spoken of in this message,The Vibrational Body---sometimes called the etheric body or the causal body. Much has been written about it that is correct and much that is incorrect and false. The purpose of the Vibrational Body is to receive information vibrationally from the individual's Higher Wisdom, without being affected by the denseness of physical matter that exists on Planet Earth. When this information---this food, this manna---is received by the Vibrational Self, it is then altered in a way that can be understood when it is received by the Vibrational Body’s children (the mental self, the emotional self, the astral self, and occasionally by the spiritual self). When the Vibrational Body is out of alignment, then that which is filtered into the other bodies can be inaccurate. The Vibrational Body is partly responsible for the psychic and intuitive information that self receives or can tap into. It is also a gateway, as it were, to the Higher Self and the Higher Wisdom---universal understandings and beyond. If the gateway is not open fully or aligned correctly, one cannot have full benefit of its abilities. What is it that can cause the Vibrational Body to be out of attunement or alignment? It differs according to the individual. As a “general” rule, whatever an individual vibrates to negatively with great strength and great focus- can mis-align the vibrational self. Example: If one is constantly caught up in the energy of hatred. - one in hating oneself or hating others or hating what is happening to the planet or hating not knowing--- this hatred can build up so strongly in the emotional body and the mental body and therefore negatively the physical. It can actually implode into the other bodies. It can adversely affect the astral body so that when you travel---when you are sleeping or consciously when you are using your AB---it can carry with it these negative imbalanced, downward spirally energies of hatred and cause incorrect choices to be made. By "incorrect" we mean choices that are not aligned with the greater good or wisdom the whole self contains. The same can happen with the Vibrational Body. It can be skewed from too much of any negative energy. This is not true for all; this is an example. Others can have such a strong reaction to loud music or harmful vibrational music that the Vibrational Body becomes misaligned. There are also desires that can exist within the self---when the self feels powerless, when the self feels there is nowhere for it to go, when the self feels that it is on a planet that does not understand it, etc.---which can cause a separation from the Vibrational Body. These emotions can prevent or separate the selves from receiving balanced vibrations. Beloveds, before we share with you individually what will assist you with your Vibrational Body, you must ask yourself this question: Are you willing to take responsibility to not do further damage to yourself? (And by "yourself", we refer to the consciousness that you are and all the vehicles this consciousness uses to navigate through Planet Earth and other dimensions and time frames. Are you willing to take the responsibility to not do further damage to yourself? For all of you at one time or another have damaged yourself in this lifetime and in others. Sometimes knowingly, and sometimes unknowingly. Sometimes just misunderstanding; sometimes there has been such grief the self cannot take it. Sometimes there has been engagement intentionally in activities that knowingly do harm to the self on different levels, and sometimes there have been engagement in activities in which you think it might only be slightly harming perhaps to the physical but is truly harming the connection between the physical and the inner wisdom. This planet,Earth, is known for its variety of frequencies and opportunities. It is known as a huge arena of potential for experience. It is also known for the many overlays of influence that exist on it and around it that keep those who are on it from being able to easily attune to all of their beings. So, unless you embark upon a path of study, on a path that guides you to inner direction, inner revelation, inner expansion, and conscious awareness, and development of the self in many ways, it is easy not only to be lost in the energies of Planet Earth, but to be separated from the Vibrational Self of your body that would protect you at all times, and funnel to you at all times the information and the frequencies you require for a successful life on Planet Earth. In the culture in which all of you are hearing these words (American), there are what we would call invisible vibrations and frequencies that are affecting your Vibrational Body. You cannot tell it for 1-you can’t see it;2- you have not been trained in it; 3-some of you are not sensitive enough to be aware that you have a Vibrational Body and that it can be out of alignment. So, what are these vibrations and do they affect all? Until you have become awakened and recognized the 3-fold flame in your heart that is alive and flowing and one might say full of bling---that it is living and it is active---until you see within yourself the symbolic jewel that you are that represents the god self, then you are more susceptible to these invisible vibrations than those who are awakened. Planet Earth, especially your culture, has begun using a frequency that is detrimental to the frequencies of the brain. The Vibrational Self can correct these frequencies by sending attunements to the brain. But you must ask. That is one of the limitations placed upon the Vibrational self. It has powers of correction, but you must ask. It is a storehouse of frequencies. When you think to ask for restoration of the brain cells, or restoration of the auric field or energy field of yourself, or restoration of the alignment of all of the seven selves of the body – it cannot provide them if it is out of alignment. What do you do if the Vibrational Body is out of alignment? It responds to two things instantly. A simple reiki practice where a symbol is placed on the crown chakra. What can help and support your Vibrational Body? Going into meditation with the intent of alignment and perfection. Use the combination of Divine Alignment frequencies with Heart Resonance frequencies. To learn more and receive a free session click here. Using this frequency device, you can also program crystals with these vibrations, and carry them, sleep with them, meditate with them. A longevity secret of the Hunza people of the Himalayas discovered by Dr. Patrick Flanagan. A liquid catalyst of negatively charged nano-colloids called Crystal Energy is added to water, changing it to levels similar to our own biological fluids, thus carrying nutrients into the cells and toxins out. Click here for mp3 from Lady Master Natasha about All Seven Bodies We, as Humans,are made of.